In the past year burgers joints have been opening left and right in London. It is a welcome addition! For the most part beef here in my opinion is not of the same standard that you might find in the States, Argentina, Australia or the beloved Japanese beef. I usually steer clear of it and realize I have fabulous, chicken, pork, and lamb options instead. Especially with the latest news from Tesco that the ground beef contained Horsemeat??? It reminds me of China in the 80s when burgers were made out of dog meat. Initially when I got here I would go to a pub and order the burger. They would look sooo good, with fabulous british cheddar cheese and bacon and then you bite into it. YUCK. But now that all these burger places are opening, the improvement on the American classic has been exponential. 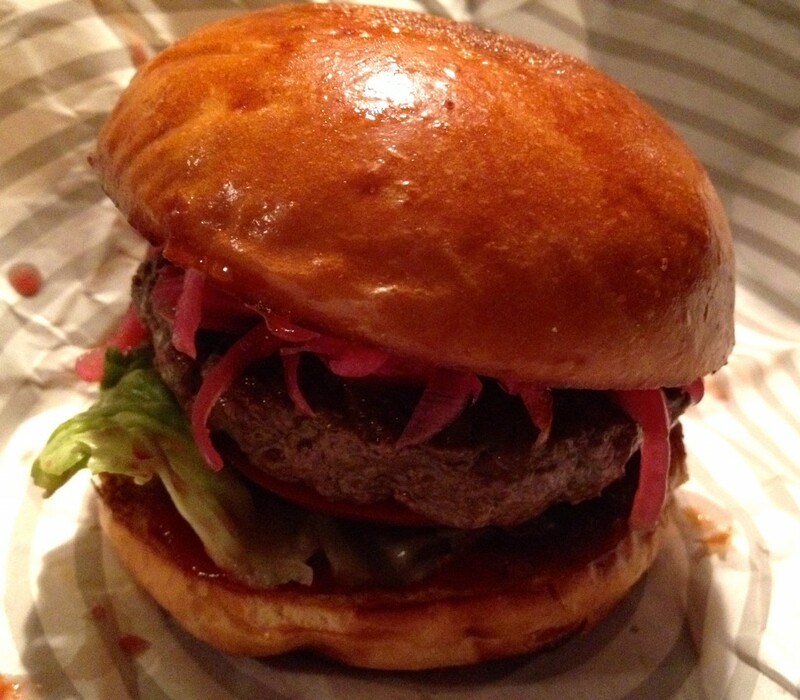 We are lucky because in our area Marylebone, I feel is a hub for hamburger places opening three with in the last year. The latest addition Patty & Bun. I figured appropriate because of the name I write about it. Neil and I went recently on one of our snowy nights here and there was a wait. When asked for my name I said, “Patty,” then I was asked to spell it, I thought funny but will say it was the noise. With that Neil mentioned that he thought my name should move us to the top of the list, no such luck. We went out in the snow but when are table was ready they told me I would get a free burger because of my name! Brilliant. The menu is pretty simple with 6-7 burger options, wings and a few sides. We both went for the classic burger. It arrived quickly, hot and fresh off the griddle. 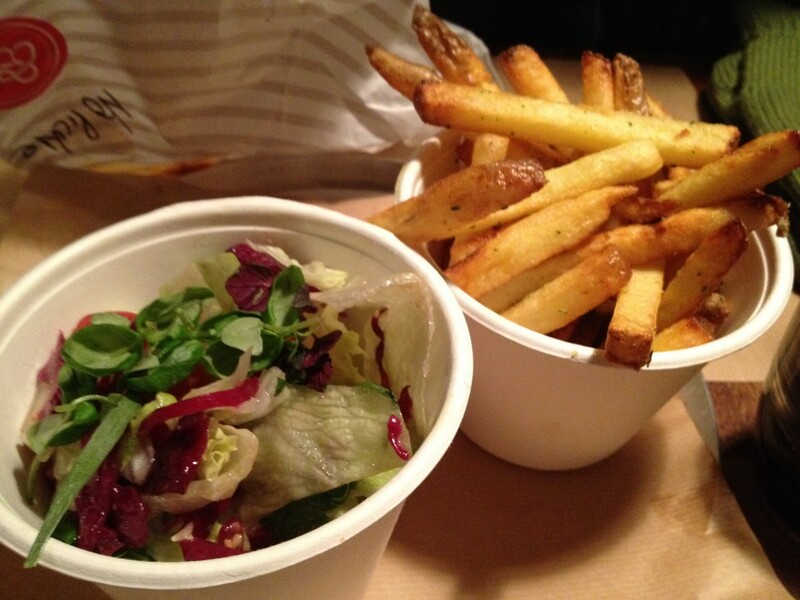 Overall it was a good burger and the side salad delicious as well as the chips/fries. I would rate the burger by standards here a B+ by NYC standards a B- but the overall vibe and ambiance an A-. Would definitely go back but would not wait in a line more than 15 minutes. So if living here or visiting and craving a burger. 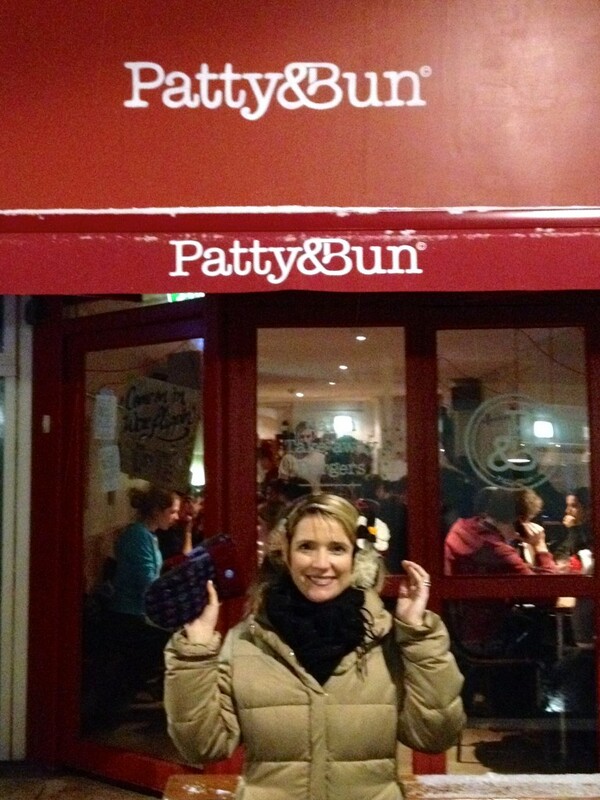 Check out Patty & Bun at 54 James St , the best part the prices won’t burn a whole in your wallet and you leave feeling you paid what a burger should cost even if your name isn’t Patty!